Count on this: if you invite me to your home, I’m going to peruse your bookshelves. Despite my interest in personality profiles, I’m not trying to psychoanalyze you based on your books. But I am looking for common ground: I’m delighted to see a book I love on someone else’s shelves, or a book I’ve been wanting to read for ages, or–more and more often these days–a book written by a friend. Sometimes I’ll notice that you have a particularly dense collection of my favorites, along with a handful of titles I’ve never heard of. Since we’re clearly kindred spirits, you better believe I’ll be quizzing you on the books I’ve never heard of and jotting down notes for my next trip to the bookstore or library. Confession: my own bookshelves are a wreck. I tend to pile my favorite books in my bedroom, where I do most of my reading, or force them upon friends, saying, you have got to read this. My bookshelves are constantly being jumbled and rearranged as I look for old books and cram in new ones. But I will say the cookbook collection that graces my living room bookshelves is intact, and lovely to look at. Do you check out other people’s bookshelves? Do you try to be sneaky about it, or not? Share your thoughts and personal stories in comments. I always sneak a peek too! And when I’m in a home with no bookshelves, it feels sort of odd. I can’t really imagine having no books around. What’s sad is that MOST of the homes I visit have no books… but the TV is the focal point of the home. When people come to our house, they often ask, “Where’s the TV?”. We have one, but it’s not plugged into any cable and gets no channels, and it’s down in the basement where the mice and spiders live. I love looking at people’s books and comparing them to my own, although recently mine are mostly on my Kindle. I’ve never thought about asking them to take a picture, but that is a great idea! If someone were only seeing the downstairs of my house, they’d have no idea I am such a book fanatic. I always look at other people’s books, but I usually get a little antsy when I see people perusing my bookshelves. What if they don’t like my books?!?!? I feel very protective of mine – after all, I chose each and every one. I agree with what The Frugal Girl said, too – I feel odd in houses without books. What do those people do all day? I love to show guests our bookshelves! Not the ones in the basement where we have about 2,000 books (no joke), but the one in the living room where my husband and I have our collection of books signed by the author. Every Saturday, I check the Literary Events page of the newspaper. When I see an author I like coming to town, I pounce! We now have over 100 books in that book case with signatures from obscure writers whom I personally know or like as well as big names such as Salman Rushdie, Toni Morrison, Bill Bryson (my favorite! ), and Billy Crystal. We have one book signed by Bill Clinton. Every time my husband’s uncle comes to visit, he quietly takes that book off the shelf and turns it around so that he doesn’t have to see Bill’s smiling face on the spine of the book. Your signed collection sounds amazing! I would love to sneak peeks at all of those–Although promise I would ask before actually touching your signed editions! bahahaha. I love this. I have awesome bookshelves, and I’m usually disappointed when I go to other people’s houses b/c it seems like most people don’t have many books on them. 🙁 Emily Miller has the most fascinating and diverse bookshelves I’ve ever seen. I would LOVE to see yours in person, and now I’m bummed I didn’t get to see Emily’s when I was in Chicago! NEXT TIME. Bookshelves and photos are the first things I look at. This is the great disadvantage of e-readers, in mu opinion. I can’t check out your library without some real weirdness! I definitely check out other people’s bookshelves and am not at all sneaky about it! It can be a great conversation- (and even friendship-) starter. Your post reminds me of something that happened many years ago: my husband and I were visiting another couple and the guy said, “If I could have only one book on my bookshelf it would be C.S. Lewis’s The Great Divorce.” About a month later they were coming over to our place — so my husband cleared every single book off our bookshelf EXCEPT The Great Divorce. When our friends came into the apartment the bookshelf was the first thing they saw and we had such a laugh about it. Although alas our books have been stored for what seems like forever. Next house they will be out and orderly! I just don’t have the energy with an impending move in the next 6 months. We have a lot of books, all stored in our common areas, and people love checking them out. It’s a great ice breaker. Then it always becomes a running joke with friends, because…well, we have a LOT of books! I try tone stealthy about checking out other people’s shelves, but I don’t know why since I find that if people have books out they want you to look. That’s a great way to put it–books are a great icebreaker! I’m jealous of your Ikea hack! I’ve seen some gorgeous ones and I’ve dreamed of doing fake built-ins in our home, but I don’t think we’re going to be here long enough to make it worthwhile. But I do love checking out everybody else’s shelves, and the books they hold. 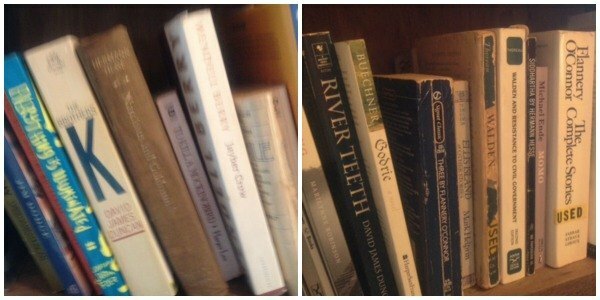 Anne — How about hosting a “Snapshot of my Bookshelf” link-up?! Then we readers of MMD could peruse each other’s bookshelves to our heart’s content! Ooh!! I love this idea! YES. Let’s do it! Maybe sometime next week? Love this! Usually when I enter a house I already sneak glances at the bookshelves, but it will take me some getting used to the person I’m with to actually stand up and check them out. Oh yes! I don’t sneak though. I am unapologetically and magnetically pulled to the bookshelves. Such good discussion points. Love this post. Yes, I am guilty of perusing bookshelves of others when I’m visiting someone’s home. That act alone can be a great ice breaker. Someone once told me that if you read books, you can have a conversation with anyone (well, as long as they’re a reader too!). Read a very interesting article not long ago on NPR – – check this out. I’ve been a big reader my entire life. Just purchased a bookcase 2nd hand about a month ago. I had it painted and a couple of trim pieces fixed but I should be able to fill it in another week and I can.not.wait! In preparation, I have pulled out all of my books – – from the garage, under the bed, the nightstand, the spare room, etc. How I managed this long without a bookcase, I will never know. And, I bet it will be full as soon as I get it! 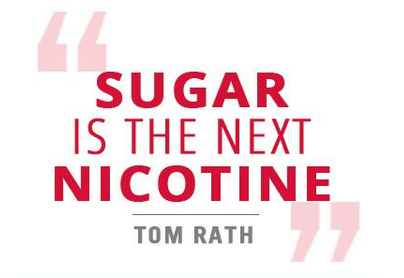 Love that article–thanks for sharing! When I walk into someone’s house, I notice two things: bookshelves, and cats. Of course, I peruse other people’s bookshelves! I love seeing what people keep (whether they’ve actually read it or not.) It really does say a lot about the person. I always find books I want to read when I visit you. I loved sitting down with a stack of them the last time! So relaxing. I do love looking at other people’s books but I’ll confess the majority of mine aren’t on public display. I have two bookshelves – one in my office which is gated off to keep kids and pets out – and one in my bedroom (and of course many large stacks of books that won’t fit on said shelves in both rooms). So apart from the lingering book that may sit on a kitchen counter and the nice wall shelf of kids books in our dining room, I’m not giving my guests much to go by! Love this conversation. I also love to see what books others have. 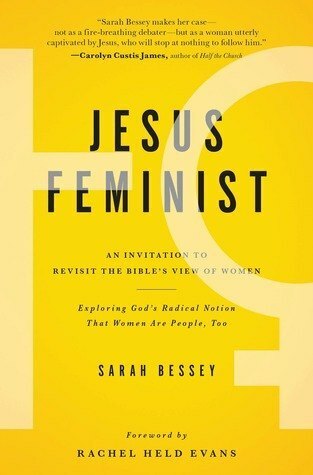 Since we live overseas, I am looking not only out of curiosity but also for a book I might be able to borrow. It is the closest thing to a library we have. Sadly I don’t have many books on shelves. I left almost all of them in the states. Oh, that’s a good point! I’ve foisted quite a few books upon friends after they’ve commented on what they’ve seen on my shelves, and I’ve been the one who’s begging to borrow, too. We have been house hunting, and I confess, some of the homes were crossed off our list based on the bookshelf. But some homes were rated higher because there was a bible and journal on the coffee table. Also check out movie collections. I completely agree. I love looking at other people’s bookshelves and if I don’t see them, I start to wonder what they do in the evenings and where they keep their books. Our current home sold me on the lovely built-in bookshelves (around a brick mantle, also a selling feature) in the living room. We’ve gotten great conversations started on our books and I always have heaps of books on my nightstand. I love looking at other people’s bookshelves…and I’m not at all sneaky about it! I figure if they display books prominently then they’ll want to talk about them 🙂 Anyone who I find looking at our bookshelves is probably someone I want to be friends with! Like several others here, you wouldn’t be able to see most of my books. Our bookshelves are not in the main areas of our home. It would be easy to get the impression that not a lot of reading goes on. And for the amount of reading that does go on, I wouldn’t say we own a lot of books. I really dislike clutter, so I have a rule about what books I want to own. I won’t buy a book unless I’ve already read it. I only want books that I know I’ll go back to again and again. I am a big re-reader. And as for looking through other peoples bookshelves, I absolutely do that. Some of the best coversations have been started that way. I feel so lost about this; I moved into my first apartment post-dormed life, and have yet to get bookshelves into the living room. This is partially because I’m just not done furnishing my life — but mostly, I just haven’t retrieved all my books from my parents’ home yet, and all my books fit neatly on a few shelves in my bedroom. This just reminded me how much I want to get my books back, grow my book stash now that I’m not bound by tiny spaces, and get those things into my main living spaces! Hm, now I’m wondering if I should get more of my books out in the open. I sold a lot a few years back to make space, and the well loved ones I kept are all tucked back in the guest room. I totally look at bookshelves too! I totally do this too. I can tell a lot about my compatibility with someone by what is on their bookshelves – or the fact that they don’t have any bookshelves (horrors)! I like to use my books as decoration, plus I’m a librarian, so they are kept pretty neat, although my very orderly sister gets twitchy when looking at my shelves because I like to turn books on their sides and diagonal and stacked on top. It’s a loose sort of organization. The one thing that boggles my mind is people who organize their books exclusively by the color of the book jacket. The only ones I do like that are my shelf of cookbooks. Everything else is by subject matter or author. Organizing by color drives me nuts too! I consider books to be the best kind of decoration, but I’m a librarian too so I need them to be organized by either subject or author. My husband makes fun of me but secretly loves being able to find things in our rather massive collection. The craziest I get is stacking books horizontal though 🙂 I’ll have to try turning them diagonally-I bet it looks really cool! My youngest kids do some organization by color for their own books in their own rooms. When they’re really little they find it easier to find a book when they remember what color the cover is. They can go to the right spot on the shelf to being looking, after color they go for size of the book. It makes for a quick find, but it drives me batty. So, the books that are “public” are by subject (non-fiction) or author (fiction). i’m casually reading the comments, snuggling with an infant in my lap (hello, sleep-deprivation!) and was shocked at reading you had lost your kids in a flood. After a re-read of your sentence I had to giggle at myself. So sorry you lost some childhood favorites, but grateful you all survived! There are so many posts now in my head that could spin off from this one, like “how do you feel about borrowing and lending books” etc. We moved to Spain 12 years ago and we had 68 boxes shipped (60 of those boxes were books)! After years of being a real book collector, I am now trying to reduce my collection for the sake of simplicity/reducing clutter – we live in a small apartment, so there is only so much room to expand. I have given tons of books to our local library – they are delighted to get English language books. And now if anyone wants to borrow a book that I have already read and know I won’t read or reference again, I tell them just to keep it and then pass it on to someone else when they’re done – people often seem relieved when I say that – I guess it takes the pressure off to read the book quickly and return it. Of course I look at other people’s bookshelves, for pretty much the same reasons as you mentioned, Anne. Yep – I totally do this. I really enjoyed looking at strangers books when we were at house showings. Maybe a little weird of me. But I think I was trying to pick up on the vibe of the people living there and how we may or may not work in that same space…. It really doesn’t make much sense since those people were getting rid of that space – maybe they hated it? Anyhow. I’ve also asked close friends if I can peruse their ebook readers. Like very close friends. I also ask them what apps they have on their phone or where they bought that great outfit. I guess I like to pry a little bit :). Lastly, before small children we had a wall of bookshelves, fill with books. It was our martial merging of books. Most of those books have now been donated or sold and the shelves are in our closets holding toys, office supplies, and our smaller curated book collection. Oh YES. 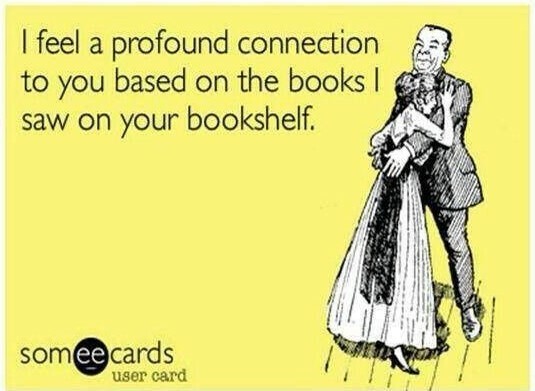 I do this to others, and I so very much want people to look at my own shelves so we can be friends. Every time my parents visit, my dad peruses my shelves and almost always ends up picking out a book to read during his stay. Which, since he’s the one who instilled such a love of reading in me in the first place, always seems high praise. Dad was in the Navy and since the Navy pays to move you all around the world, he never got rid of a book. Ever. There were floor-to-ceiling bookshelves all over our house, packed with trade book-of-the-month science fiction paperbacks and antique Bibles and everything else he and Mom collected over the years together living around the world. Fortunately or unfortunately, I’ve inherited his bookish packrat habit, and after only five years of marriage, our house is overflowing with books. Let’s see. In the public areas of our house, you would see books on parenting, gardening, dogs, rabbits, sociology, politics, theology, science. A Bible collection and a half shelf of nothing but hymnals. A shelf and a half all in German. All of my college books, which since I majored in English and German with a history minor, is a lot of classic literature and nonfiction, especially about China. Most of the DH’s books from his own studies (psychology and law). A pile of Norton anthologies and a good eclectic collection of modern literary fiction. Several very pretty shelves of law reference books that look gorgeous but are never used, because, Internet. But they make DH feel like a Real Lawyer. Oh, and of course, the cookbooks. The linkup sounds like a great idea, though I’m depressed because I just had to dismantle two whole shelves (including all the German books) because Destructor Toddler has discovered the pleasure of pulling books off the shelf and ripping them up. Katie, you sound like a book-lover after my own heart! And, don’t worry, if Destructor Toddler likes to rip books now, he’ll probably learn to eat them later and digest them fully! I don’t listen to podcasts, because noise. (hahaha! I just couldn’t resist!) That was an interesting link, Amanda. I’m late to the party here, but I definitely peruse others’ bookshelves and I love it when people come over and look at mine. We have 7 bookshelves and a book table in our 2-bedroom apartment – so our decorating style is also “bookshelves,” as Tuija said above. I can’t wait to see everyone’s shelves in the linkup! I love looking through other people’s books. I always want to grab one and start reading, so I have to limit my looking or I won’t spend time with my people. Discovered this blog when reading the one about my friend Shawn Smucker’s bookshelf. I have been thinking A LOT about my own books in he last year. I have a graduate degree in literature, and have spent the past 20 years in the publishing industry. I recently began asking myself what would become of my books when I die. I realized that my children will have already taken the ones they want, and that what’s left (which is most of them) will either end up in the trash, or given to some random book sale or something. So, with great difficulty, I decided to start giving away all of my books. I took a video of a few shelves and posted in on Facebook. I invited my friends to choose as many as they wanted. In this manner, I am ensuring that people who want them are getting my books. Some friends even began asking me to surprise them with books I have selected just for them. What began as a very difficult decision has become a hobby that fills me with so much joy I can’t even explain it. To share with friends who appreciate it the titles that have helped make me who I am–I can think of very few things in life that achieve that. So, here’s my invitation to you fellow readers–IF YOU LIVE IN KANSAS CITY, OR ARE PASSING THROUGH, CONTACT ME AND TAKE ALL THE BOOKS YOU WANT FROM MY COLLECTION! Wow! What a brilliant idea! I’m not there yet, but I applaud your ingenuity! I ALWAYS look at other people’s bookshelves and I’m fascinated by what they read. Sometimes I get so engrossed by what’s on their shelves that I don’t want to socialize with the other people in the room–I just want to pull a book off the shelf and get cozy. I think there is something wrong with me when that happens. I also feel disappointed when people come to my house and don’t look at my books. I want them to say, “Oh, wow–so you’ve read…” and then we have a brilliant discussion about the book. (By brilliant, I don’t mean super deep and cerebral–just that wonderful feeling you get when you connect with someone who loves what you love and you both want to share the love.) Maybe I’m not strange; maybe I’ve just invited the wrong people to my house.